Simon Leiser (1851-1917) – Temple Lodge, No.33, Duncan, B.C. 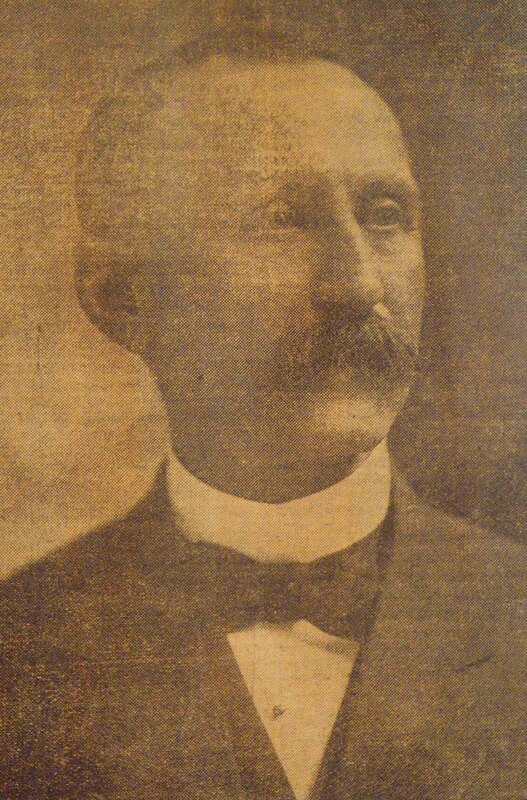 As part of our Vancouver Island Masonic History Project series on Deceased Brethren, here is a page on Simon Leiser (1851-1917), a leading figure in Victoria and Vancouver Island business in the late 19th and early 20th centuries. Simon Leiser was a member of Vancouver & Quadra Lodge, No.2 in Victoria. He is buried in the Victoria Jewish cemetery. Simon Leiser’s influence can still be seen in the city of Victoria. His warehouse at 524 Yates Street, built in 1896, was converted to condos in 2011; his home on St. Charles Street is on Victoria’s Heritage Building Registry; he was active in promoting the construction of the Royal Theatre in 1913; he was a member of the city delegation that approached the Canadian Pacific Railway with a proposal to locate the Empress Hotel in Victoria. Simon Leiser’s former warehouse at 524 Yates Street in Victoria, built in 1896, was converted to condos in 2011. His brothers, Max and Gustav, and his son Herbert, were also prominent Victoria businessmen and Freemasons. They were members of Vancouver & Quadra Lodge No. 2 in Victoria. Simon, Max and Gustav Leiser are all interred in the Victoria Jewish Cemetery. See the Victoria Jewish Cemetery webpage about Simon Leiser. Following a paralytic stroke which he suffered two weeks ago, when on a visit to Vancouver, Simon Leiser, one of the pioneer merchants of this province, died at the residence of his daughter, Mrs. Milton Oppenheimer, 2040 Nelson Street, Vancouver, at 2.30 this morning, in the presence of members of his family. The end was expected, although reports of his rallying had been issued on two occasions since the stroke. He had been under medical care for some time before the end. Victoria loses in him one of its oldest citizens in the business world, one who occupied many public offices, who filled them acceptably, and proved a true citizen, always mindful of the welfare of Victoria. The late Simon Leiser was born in Germany, and came to British Columbia at an early age, probably in his twentieth year, in 1872. His first employment was as a contractor for the overland trail from Telegraph Creek to Dease Lake, and then he opened in the grocery line which afterwards came to be his specialty. The Cassiar district in the late seventies was a favorite of the miner, and there he operated four stores. In 1880 he came to Victoria, and set up in business as a grocer on Johnson Street, the business prospering rapidly. He soon launched out into the wholesale trade, moving to Yates Street. Here in after years he built the block which became by 1890 the largest wholesale grocery in British Columbia. In extending his business interests, and Mr. Leiser was a man always to make a venture in the field of commerce, it was natural that he should take a hand in Victoria’s great sealing industry, then the chief characteristic of the port. He personally operated the Wanderer in the northern waters, and thus it came about that his interests took an international turn in the protracted negotiations which eventually led to the cessation of pelagic sealing by Canadian ships. It came about in this fashion: The contracting parties to the modus vivendi had agreed that instruments for sealing of a certain character were prohibited on the vessels, and the United States protection cruisers claimed the right of search of British vessels. In June 1894, the Wanderer was halted and with the Favorite was seized. Mr. Leiser later filed a claim, but so far as is known the claim has never been adjusted. Afterwards he became a director of the Victoria Sealing Company. Prior to that time he had become a Canadian citizen, being naturalized in the County Court here on September 1, 1892.
Business prospered through the nineties, and the great opportunity came with the remarkable developments around Bonanza Creek in the Yukon during the Klondike rush. It was not the gold, but the feeding of the miners which was the object of Mr. Leiser’s activities, and so his business expanded, until it eventually became a limited company, whose directorate includes some of the most influential citizens of this community. His interests on Vancouver Island employed approximately one hundred people. His chief public work was done as a member of the Council of the Board of Trade, during which he served on that body for 15 years. He reached the vice-presidency in 1907, when F.A. Pauline, M.P.P., was the president, and was elected president in the following year, serving two terms in the chair. He was very active during his year in office, one notable feature being in securing, by aid of the late Hon. William Templeman, a large appropriation for the improvement of Victoria harbor, going to Ottawa in company with Joshua Kingham for this purpose. Another subject which engaged his attention was the locating of the Empress Hotel here, which was under construction during his term of office, and he organized the entertainment of Lord Shaughnessy in connection with the scheme, when a banquet in his lordship’s honor was held here. The locating of the G.T.P. [note: Grand Trunk Pacific] docks here also owed much to his active interest. In 1905 he received a tempting offer to remove his business to Seattle, a million dollar business and a new building being offered as inducement, but he declined the pressing invitation. To the last he continued to give personal attention to his business, which had extensive connections. Another institution to which he gave ungrudging time was the Vancouver Island Development Association, since re-organized. No one not intimately connected with the former body can be aware of how often his personal efforts prevented it becoming moribund at critical times shortly before the re-organization. An institution to which he particularly devoted himself was the Royal Provincial Jubilee Hospital, of which he has been vice-president, and although turned off the board by the subscribers, a place was made for him next day by the resignation of a city representative, and the City Council immediately elected him to the vacancy, since which he has continued to sit on the board. In the economical purchase of supplies he was particularly valuable to the institution, in saving unnecessary outlays. On public bodies Mr. Leiser was an independent, fearless figure, who never hesitated to speak out plainly what he thought, and showed that he gave considered judgment to his opinions. Born on April 9, 1851, he was just 66 years of age. The immediate members of the family are the widow, who was formerly Miss Carrie Lenz, of Madison, Wis.; a son, Herbert Leiser, of Victoria, and three daughters, Mrs. Milton Oppenheimer, of Vancouver; Mrs. Otto Guthman, of Seattle, and Mrs. Hamburger, of this city. Mrs. Sol Oppenheimer died two years ago, leaving two children, Ruth and David, the death of this daughter being a great grief to him. Mrs. Hamburger’s children are Norma, Adele and Gus; Mrs. Guttman’s Caroline and Florence, and the other grandchild is Edith, daughter of Mr. and Mrs. Milton Oppenheimer, at whose residence he passed away. The brothers are Max Leiser, of this city, and David Leiser, of Brussels, who was ruined by the German invasion, and whose son, Henry Leiser, was wounded in the attempts to stop the enemy on the road to France. The arrangements for the funeral have not yet been made pending the arrival of the body to-morrow in charge of Mr. Herbert Leiser. The interment will take place from the residence, St. Charles Street, under the auspices of the Hebrew Synagogue, to which congregation he was attached. The following article was taken from The Journal of the Jewish Historical Society of British Columbia. “Simon Leiser was born on 8 April 9, 1851 in Kerpen, Germany, a small town near Cologne on the Rhine. He was the eldest of the seven children of Moses Leiser and Henrietta Lenz. As there was scant oppor­tunity for a young Jewish man in his home town, arrange­ments were made to apprentice seventeen-year-old Simon in business with an uncle Jacob Lenz (1818- 1899), who had emigrated in the mid-1850s and was now established as a rectifier and wholesale liquor dealer in the Wisconsin Distilling Co. of Madison, where Leiser arrived on July 23, 1868. The uncle in America had admonished the parents in Germany: ‘Things don’t work out here as fast as you think. To get ahead you have to know the English language and adopt the customs and manners. …The one who wants to live lei­surely and rest on his laurels should stay where he is. Gentlemen you only find in Germany. Here you have to work hard…to make a living. For that reason, a young man, the younger the better, is more useful…” Jacob Lenz was not to be dis­appointed. Within four years of his arrival, Simon was managing two stores and the Chi­cago office of his uncle’s liquor business. Nev­ertheless competition in the Mid-West was stiff. Simon Leiser was not content to remain sedentary. In February 1873 a prospector discovered gold in the remote Cassiar district of north-western British Columbia where, by 1874, there were an estimated 1,600 members. Leiser obtained a contract from Capt. William Moore to build the Cassiar Trail, running 100 km. from the head of navigation on the Stikine River near Telegraph Creek to Dease Lake into the gold diggings. Leiser was in charge of the tolls, collecting two cents a pound on freight that passed up the road, until they were assumed by the government. That year, in partnership with his father-in-law Jacob Lenz who had followed him to Victoria, Leiser established a chain of stores and trading posts at Telegraph, Tibbets, McDames, and Dease creeks. He also entered into a partnership as general traders in British Columbia, with the Victoria merchant Henry Gerke. In March 1875 we read of Leiser as a representative of H. Gerke travelling to the ranch country of Walla Walla Valley, Wash­ington Territory to purchase 100 pack animals for the Cassiar trade. Later that year Simon was assisted in the business by brother Gustav (1856- 1896) recently arrived from Germany.12 On March 14, 1878 the partnership with Gerke was dissolved and thereafter the business was conducted under the name of Simon Leiser. In 1880, when the Cassiar gold was playing out, Simon Leiser returned to Victoria, setting up in business as a wholesale grocer. In 1894 Simon Leiser & Co. was formed when capital was raised from E. Bloomingdale of San Francisco, formerly a partner in the pioneer B.C. merchandising firm of Carl Strouss & Co. As well the Leiser Co. included among its directors and stockholders many of the business elite of Victoria. As the population and economy of the prov­ince grew, the business prospered, opening branch stores in the coal mining and lumbering towns of Vancouver Island at Ladysmith, Wellington, East Wellington, Union Bay, and Cumberland, and employed 100 people on Vancouver Island. As an example, opened in 1893 in Cumberland, Leiser’s “Big Store” occupied 16,000 square feet comprising dry goods, boot and shoe, hardware and furniture, grocery, and liquor departments, which supplied Dunsmuir’s Union Colliery Co. and the Comox Valley. Described as the “biggest firm of its kind in the Province,” Leiser & Co. did business as far east as the Kootenays and to the north Alaska. The company became purveyors to the Klondike gold rush to the Yukon in 1897-8 in miners’ supplies and in handling a “large proportion” of the food commodities shipped north. “absolutely fire-proof.. .and arc thoroughly mod­ern in all respects…The basement, which has a cement floor, is used for the storage of butter and other articles requiring an even tempera­ture [and] is so ventilated that the atmosphere can be maintained at a low point even in the hottest of the dog days. “The large ware-room…is stacked high with all the various comestibles that go to make up the stock in trade of a wholesale grocer. 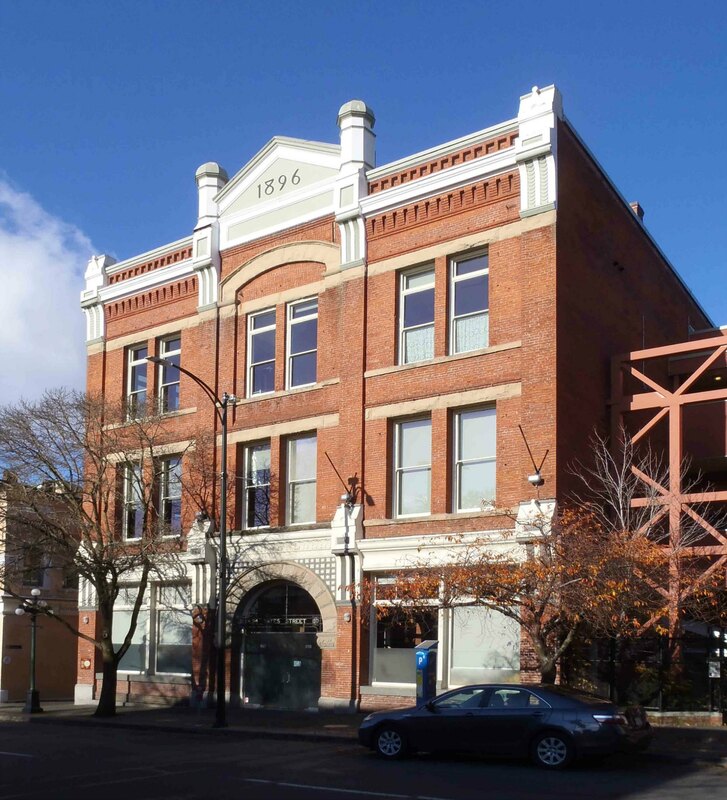 Today, adaptively restored to other uses, the Leiser Building stands on lower Yates Street as a Victoria heritage landmark. The Leiser-Lenz family’s commercial activities extended into other fields. In 1880 Jacob Lenz in partnership with his son Moses (1862-1932) and Gustav Leiser established the wholesale dry goods and clothing business Lenz & Leiser. By 1891 this firm was reported as the largest of its kind as importers (from England, Germany, France, and Persia) and manufacturers, in British Columbia. In 1893 a younger brother Max (1862-193S) became a principal in the whole­sale liquor company Pither and Leiser Ltd., founded in 1858, which occupied a 6-storey, 72,000 square foot warehouse in Victoria, and in 1900 established a Vancouver branch. Simon Leiser engaged in the sealing industry, operating the schooner Wanderer in north coast waters until June 1894 when it and the Favorite were seized as British vessels by the United States government. This incident precipitated protracted interna­tional negotiations, which led eventually to the cessation of pelagic hunting of fur seals. Leiser also saved on the board of the Victoria Sealing Company. As his wealth and social status grew, Simon Laser became a avid booster and philanthropist. He was responsible for organizing the Victoria and Island Development Association. Serving on the council of the Victoria Board of Trade far fifteen years, he became vice-president in 1907 and president for two terms in 1907-8. In these capacities he was influential in securing a large federal appropriation for improvement of Victoria Harbour, and in the building of the Grand Trunk docks and the CPR Empress Hotel. He served on the board of the provincial Royal Jubilee Hospital. Leiser was the prime mover in the Victoria Opera House Company, a syndicate which promoted and built the 1,200-seat Royal Victoria Theatre, a grand Beaux-Arts and Baroque Revival-decorated building. When the theatre opened on December 29, 1913 with the play “Kismet”, Leiser gave the inaugural address to an audience of Victoria society headed by Premier Richard McBride and the Honorable and Mrs. James Dunsmuir,30 a former premier, lieutenant-gover­nor, and the principal industrialist on Vancouver Island. Leiser’s bust was placed in the foyer to commemo­rate his services. On 7 May 1915, during World War I, the Cunard liner Lusitania was torpedoed off the Irish coast by a German submarine. The sinking, which resulted in the loss of 1,198 lives, including some residents of Victoria, among them James Dunsmuir, Jr , caused great anger throughout North America. In retaliation a mob in Victoria vandalized businesses bearing Germanic names including Simon Leiser & Co., notwithstanding that Leiser had been a productive citizen of British Columbia for forty- two years, a naturalized Canadian for twenty-three, and James Dunsmuir was a stockholder in the company. 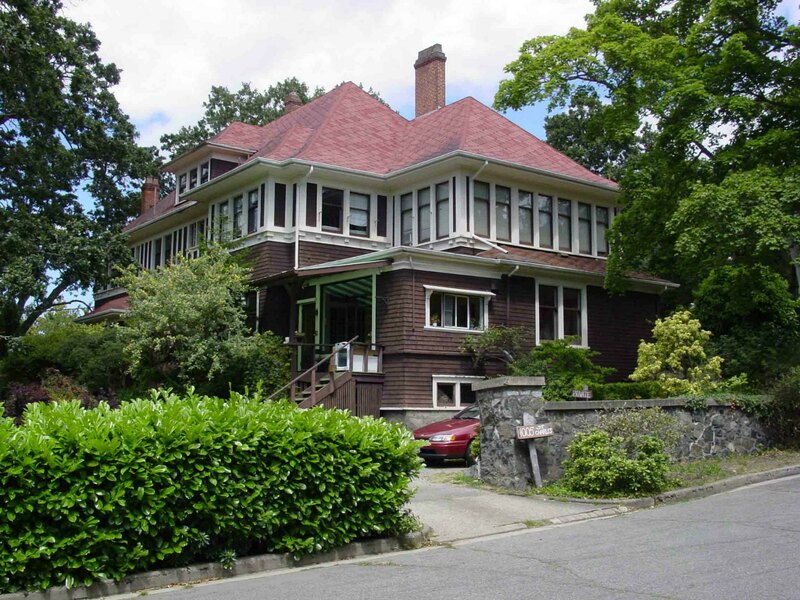 In 1910, Simon and Caroline Leiser built a large home on St. Charles Street designed in the Arts and Crafts style by the celebrated architect Samuel Maclure, which today is a Victoria heritage house. The Leisers had five daughters and one son. Two of the daughters, Florence (Mrs. Sol) Oppenheimer and Amy (Mrs. Milton) Oppenheimer, married into the pioneer British Columbia merchandising firm Oppenheimer Brothers. 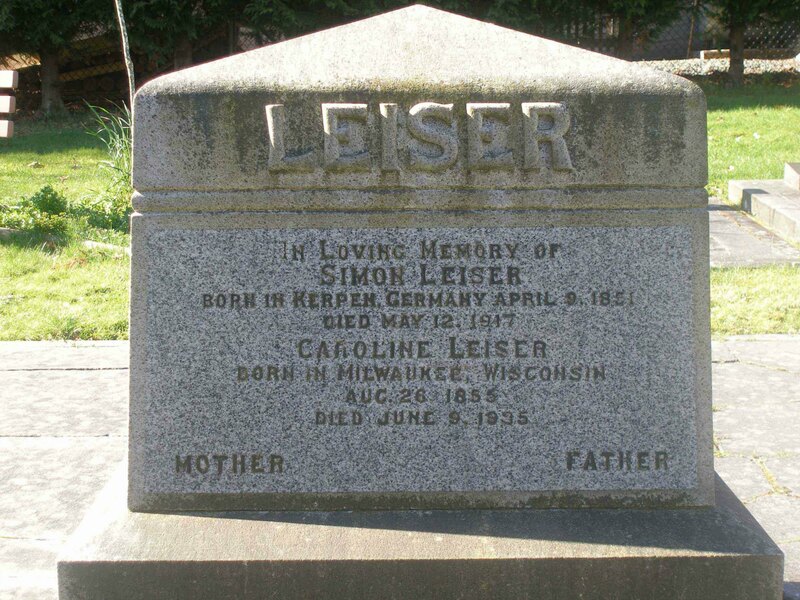 While visiting Vancouver on business, Simon Leiser died suddenly on May 12, 1917, aged 66, due to a brain hemorrhage, at the house of his daughter Amy Oppenheimer. A member of Temple Emanu-El and Vancouver-Quadra Lodge AF & AM, he was buried with Hebrew and Masonic ritual in the family plot at Victoria’s Jewish cemetery. Leiser was eulogized: “A man of extraordinary business talent…..one of the real pioneers in the wholesale grocery business in British Columbia [and] looked upon as one of Victoria’s most valued citizens, …possessing unbounded optimism as to the commercial and industrial aspects of this city.” After his death the business was sold to the wholesale grocers Kelly Douglas & Co. Ltd., a firm that still operates in British Columbia. We have had several contacts to our website about this page on Simon Leiser. One recent contact was from Ernest Salomon of Santa Barbara, California, who is a grand nephew of Simon Leiser. Ernest Salomon gave us the following information, which we have reproduced here for interested researchers with his permission. “Simon and Max Leiser were my great uncles, the maternal uncles of my mother. My grandmother, Eva, was their sister and she and her husband Josef Scheuer are buried in Sinzenich, Germany. My grandmother was 9 years older than my grandfather and had my mother in 1908 at the ripe old age of 43! [Simon Leiser’s grand daughter] Norma [the daughter of Ella and Moses Hamburger] married Lester Lobe of San Francisco. Simon’s children are interred in San Francisco at Home of Peace Cemetery. Norma and Lester [Lobe] were instrumental in getting my mother, father, sister and me out of Germany in 1939. We landed in NYC on Sept. 2, 1939……. Ella Hamburger [Moses Hamburger‘s wife and Simon Leiser’s daughter] was my mother’s first cousin by marriage. She had three children (Gus, Babe and Norma). We were close to the daughters, Norma and Babe. Babe married Barney Levy who was a garment salesman and Norma married Lester Lobe, who was in the better women’s suit and coat business of Hamburger Apparel which became Fernbacher Lobe with offices from Seattle to LA. They are all interred in Home of Peace Cemetery, Colma Ca. The Lobes lived at 2001 Sacramento Street, San Francisco and later in life, Ella also lived in an apartment on Sacramento Street. It was because Ella and Norma were family that Lester Lobe gave us affidavits to come to the US from Germany, arriving on Sept 2, 1939, the day after Warsaw was bombed. Simon Leiser is buried in Victoria Jewish Cemetery. His son-in-law Moses Hamburger (1870-1905) is buried in an adjacent plot.